Buy your entries and check Lotto results in this week’s Oz Lotto right here ! Tuesday night Oz Lotto is one of the many different Lotto games available in Australia. This Guide covers the basic aspects of the game, essential to maximizing your investment and with hopefully the best results. 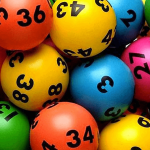 As with other Lotto games, Tuesday Oz Lotto allows players to choose from 45 numbers, except in this game, 7 lotto numbers must be selected as compared to the standard 6 with other forms of Lotto. The top prize for this game has a minimum $1 million first division and draws are held every Tuesday night. To determine the winners, nine balls are randomly drawn. The first seven numbers drawn are called winning numbers and having all of them successfully on your entry will land you the Jackpot or Division 1 prize. The other two numbers are referred to as supplementary numbers and are combined with the main winning numbers to determine winners of Divisions 2-7 and their allocated prizes. There are many ways to enter Oz Lotto. 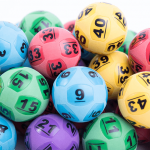 Players can use the Standard entry where they select 7 numbers on their Tuesday Oz Lotto ticket or they can also allow a computer to randomly select the numbers for them via the Autopick option. To increase your chances of winning, OzLotto also provides System entries where between 8 and 20 numbers can be selected for the draw. The costs for System entries rise significantly as more numbers are chosen due to the probability of winning becoming much higher. Advanced or Multi Draw entries are also available for people who wish to enter certain numbers for future weeks, months or even years upfornt. This is a great option for those players looking to save time, maximise convenience and ensure they never miss a draw ! Tuesday Oz Lotto can be played online right here. When Can I Play Tuesday Oz Lotto? For NSW Lotteries and its resellers, the draw is at 8:30pm (AEDT). To check official draw times, review your entry to see when the Lotto is drawn in your state. Draw closing times are relatively the same for most states ie: Tuesday at 7:30pm, however for SA Lotteries, covering South Australia, the draw closes at 7pm. How much is it to play Tuesday Oz Lotto? Note: Prices below may vary slightly, depending on your individual state lottery. Tattersalls has its own detailed price list. See the Lotterywest price list here. The SA Lotteries price list can be viewed here. The NSW Lotteries price list is shown here. From here, you can either choose your own preferred numbers or computer generated ones right here to purchase your Lotto tickets through the website. A ‘Standard’ game is played by choosing seven (7) numbers from a selection of 1 to 45. Nine (9) numbers will randomly be selected by lottery officials comprising seven (7) regular and two (2) supplementary numbers. If your numbers match the first seven (7) selected by the lottery company, then you will win or at least share in the 1st Division prize pool. You can also play ‘Multi-week’ entries for both Tuesday Oz lotto and other Lotto games, using the same numbers for weeks, months or even years at a time. This is not only a very convenient way to play, but it also ensures you never miss getting your entries in – Especially, if your numbers happen to come up and you forgot to buy your online lotto entry that week! There are also ‘Systems’ entries, which allows you to choose more numbers per game than the standard (7) and thus increasing your chances of winning. Click Here to Buy your Oz Lotto tickets online. Oz Lotto was first introduced in 1994 and was drawn on a different day back then. Originally it was played the same as Saturday Lotto where you chose six numbers out of 45, however all that changed on October 18, 2005 when a seventh number was added to the draw, increasing the odds of winning Division 1 as an individual rather than sharing it with other players as was often the case when only (6) numbers were required. As a result, the Oz Lotto brand and marketing heavily emphasised the seventh number. For instance, Tattersalls has Super 7 and Golden Casket has Oz 7. 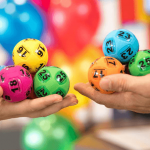 Whilst Oz Lotto requires seven numbers to be chosen, its minimum prize level remains at three winning numbers and either of the (2) supplementary numbers. Oz Lotto holds the current Australian record for the largest lotto jackpot prize ever won. The amount was an astonishing AUD$106,549,984.76, which was won and shared by two winners from South Australia and Queensland on June 30, 2007.